School’s back in session and it’s time for a lesson in wearing stripes. 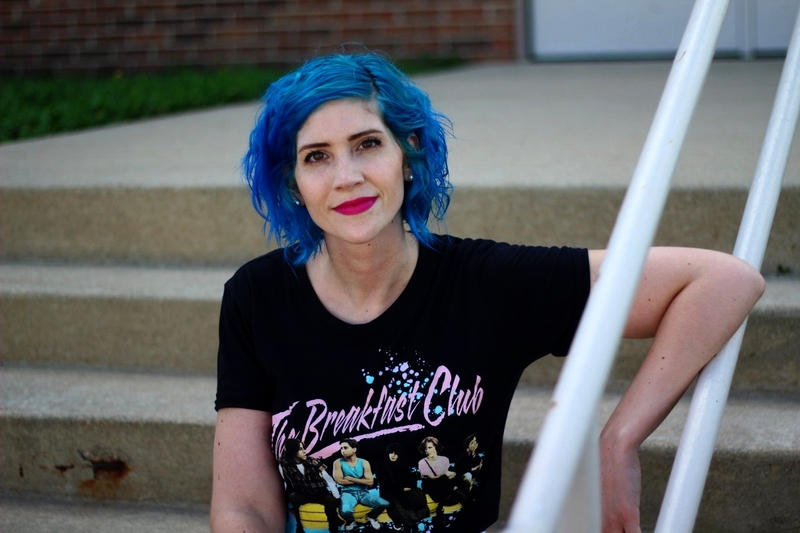 Some people have a back-to-school tradition of buying a new wardrobe but, for me, I favor watching movies like The Breakfast Club to get into the school spirit. While my outfit wasn’t inspired by the movie itself, it was inspired by this thrifted tee I’m wearing that pays homage to the film. It also felt fitting to take these pictures at a school on a Saturday to really set the tone. 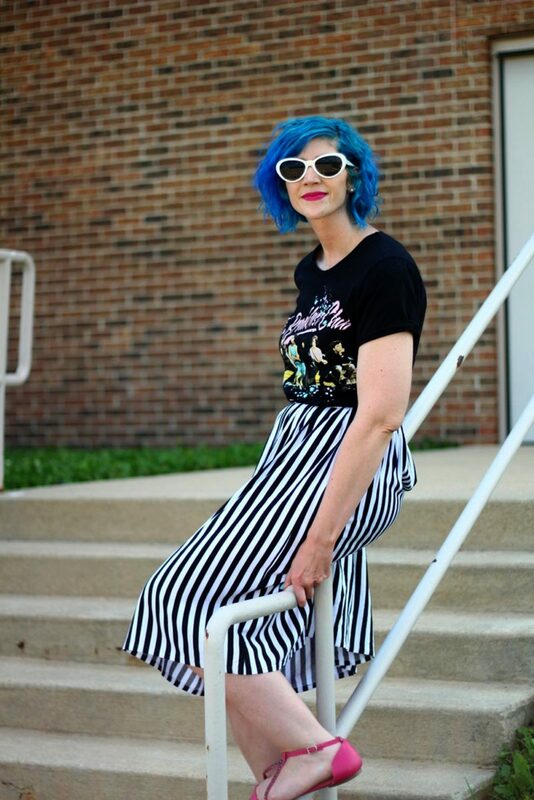 How I wore my graphic tee is with a striped skirt for the most visual impact. 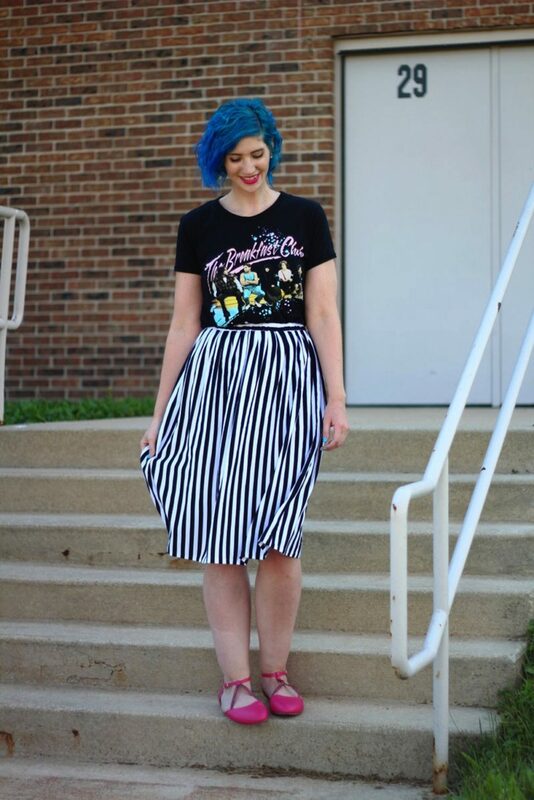 Together, a graphic tee and a striped skirt are the perfect match. 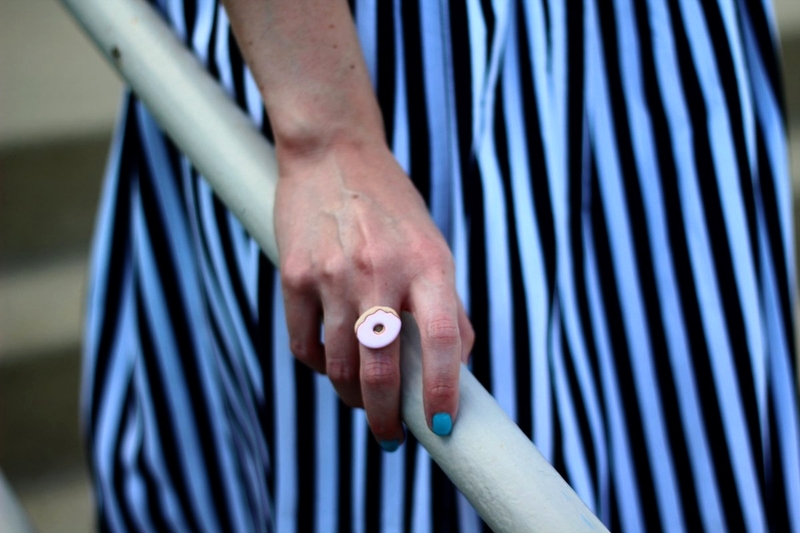 Actually, almost everything goes with a striped skirt. I’ve worn mine all summer with a plethora of tops, this just happen to be my favorite way that I wanted to share in an outfit post. 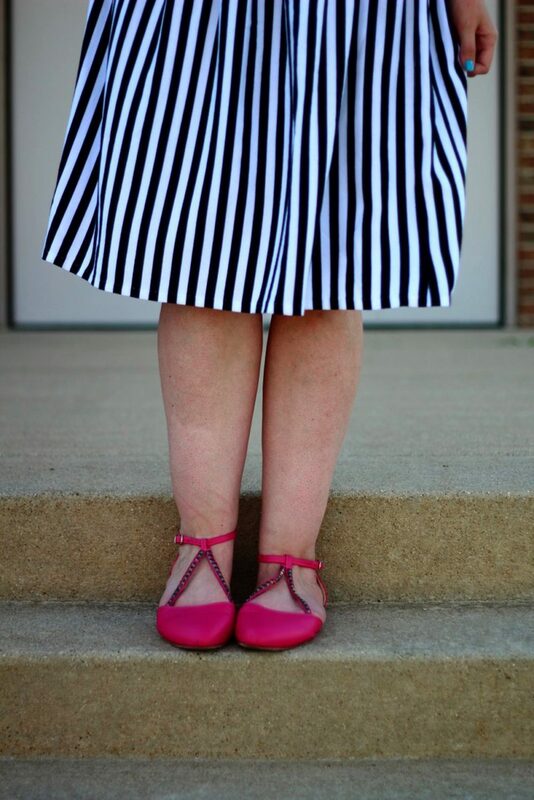 I’ve had other striped skirts before that I loved but this one just seems magical. 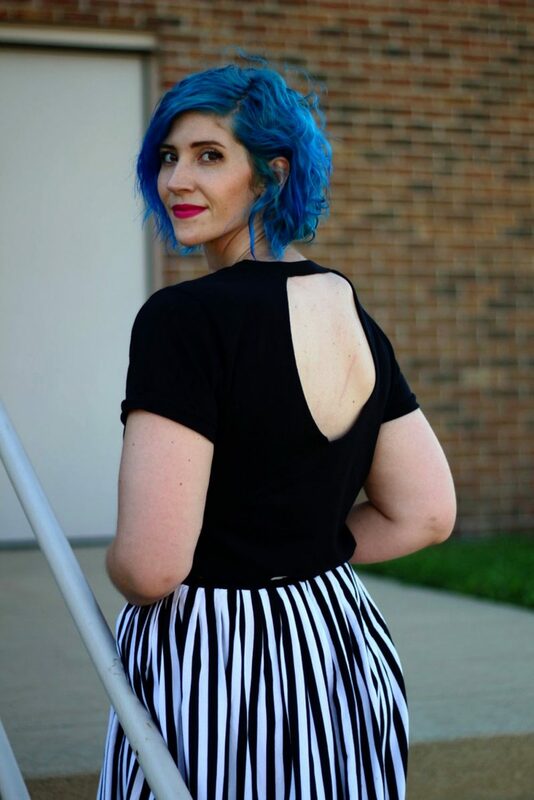 Something about the vertical stripes, as opposed to the horizontal ones that we’re more accustomed to, make it a skirt that looks interesting even with the most boring top. Like The Breakfast Club, I can see this skirt being in my life for a long time to come. The rest of my outfit is just a mix of different stereotypes. 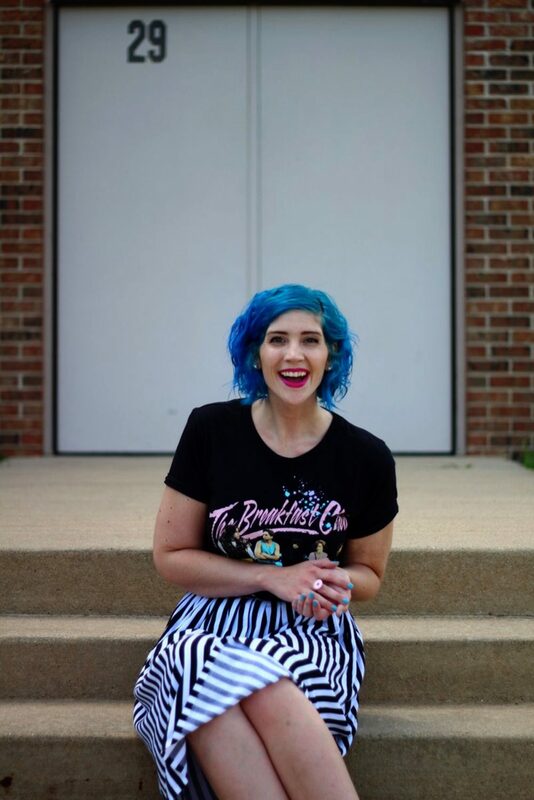 It’s a little bit of princess, thanks to the pink details, and a touch of criminal or basket case because of the studded details and my bright blue hair. Why try to fit in with convenient definitions? I hope that you all start your school year off on a stylish note. Let me know in the comments what your favorite back-to-school flick is to get inspired from. But more importantly, what are you wearing on the first day of school? !